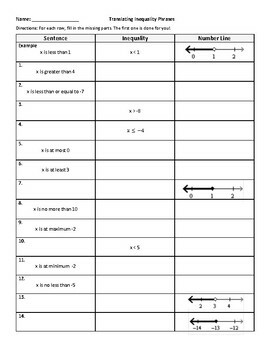 This resource provides 14 problems that mix up translating inequality phrases into writing an inequality and graphing it on a number line. 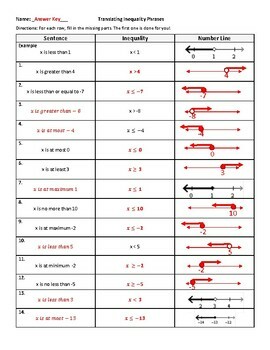 I have used this as homework, partner practice, as well as independent practice. An answer key is provided. Enjoy!